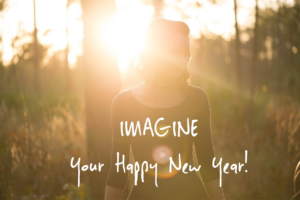 What’s the best starting place for a fabulous New Year- Imagine – it’s all in your mind! Change starts with the spark of inspiration and is then nurtured by your imagination. The more time you spend in this place of incubation, the better. When I was the Director of outpatient clinics, one of my favorite sayings was “We are only limited by our own imagination”. It was a call to action, to inspire creative solutions to complex problems, that were hampered by limited financial resources. We had more fun coming up with new processes and systems to provide better services. Not only did we do that – we thrived. So here we are welcoming in 2019 – another year of complex problems with limited resources in many arenas. Are you going to let that mindset limit you? Are you going to cave to the culture of only going for the obvious new year resolutions that leave you apathetic with limited results? Please say no! Maybe you’re ready to try something different that might light a fire in you? Yes? Try this instead! 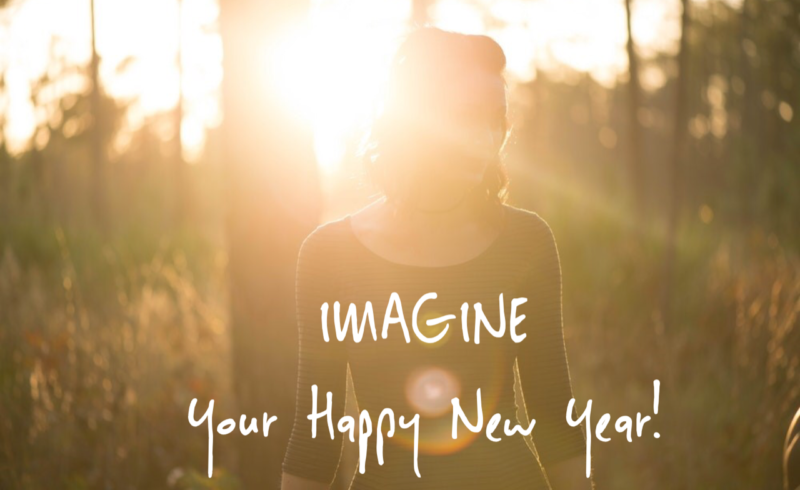 Here’s a wonderful starting place for 2019: Imagine opening the top of your head, releasing all the shoulds and aughts and allow your old and new dreams to float in. Let them settle into the space you have opened for them. What comes to mind? What would inspire you, provide some joy, give you a surge of excitement or peace of mind? When you consider what wants to happen in your life right now – what do you come up with? Give yourself permission to use your imagination, to dream and consider beyond the typical goals to exercise more and eat better. What do you want to take on, explore or be that gives you a new lift? Release the shoulds and aughts that keep you stagnant and free yourself to imagine what inspires you. Take the ideas that float in – remembering that everything starts as an idea – and before you add flters or editorial comments to it, begin to flesh them out. This means allowing yourself to see yourself living these new dreams or ideas. Allow yourself to imagine everything that appeared to you. When you imagine yourself acting on these inspired ideas, you foster their possibility. It’s like giving yourself an energetic dress rehearsal. The more you develop the imagery of yourself having a wonderful time, being happy, enjoying yourself or succeeding with something you desire, you are creating and building the energy to make it happen. Create a mental video of yourself in this new dream – you are forming an energetic template for it to successfully happen. With each vision you have of yourself being involved in your dreams, pause and drop into the feeling these images hold. To amp up the experience, designate a different spot on the floor for each dream and stand in it long enough to feel the actual experience. Imagine yourself in the situation and wait for the energy to fill your body. What is the experience telling you – do you like the way it feels? Is it lighter, happier, easier, exciting, soothing, or does it create tension, heaviness, or doubt? Obviously, you want to go with the ideas that bring a surge of positive energy and feelings. Amazingly, we often ignore this important piece of information, which is why some things we say we want aren’t a good fit and don’t work. How are you feeling in your dream video- do you feel a lift, like campaign bubbles rising, if not, try another version until you do. Now, that you’ve done this exploration, you are ready to start your New Year’s planning. Decide what you actually want. Doesn’t it seem easier and more obvious once you have this additional information? Starting with the vision and feeling of yourself in the new situation, begin to work backward to get to your plans. You’re immediately putting yourself within a time frame – take the time that is needed to bring your dream to fruition. It usually happens more quickly than you think because you have dropped resistance and are working toward what you actually want. New Year’s resolutions come more easily and are more successful when you have envisioned and felt the joy of their creation – you are operating without resistance! 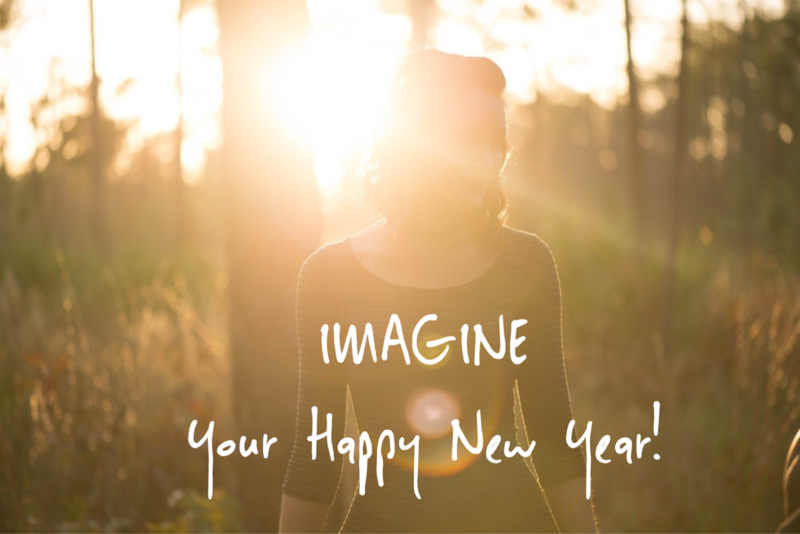 Wow – 2019 is here and we are facing the opportunity to make life more of what we want! Take it seriously – who and what do you want to be? It starts with your imagination – release all the resistance that holds you back and embrace your dreams. See yourself fully absorbed doing or being in the dream like you’re watching a video of yourself. Next feel into the dream experience. Do you like it, are you experiencing what you are hoping for? If not, then try a different dream. Once you have these things in place, you are ready to make your New Year’s resolutions! How did that work for you? If you’d like some help creating dreams for your new year, my Transformational Life Coaching and Counseling is designed to support you in that process. See my website www,spectrumtransformation.com for more information and if you’re interested, reach out using my Free Consultation button. I also have a workshop on making your dreams reality on Feb. 9th . I’d love to hear from you.